We’d love your help. Let us know what’s wrong with this preview of Metamorphosis by Jennifer Carole Lewis. Ron McBride thought his life couldn't possibly get any worse. He's been physically transformed, hunted across most of North America and is haunted by the failures of his past. Now it looks like he's about to die in the Canadian wilderness. When he wakes up in the tiny community of Bear Claw, he thinks he's died and gone to heaven. Particularly when he meets Lily Charging Bull, a beautiful young woman whose family runs almost everything. But there's a reason why no one has found Bear Claw before. To ask other readers questions about Metamorphosis, please sign up. Ron McBride on the run from a secret organization that is using experimental procedures to create the ultimate human. Finds himself nudged by a huge bear, while stranded in a frozen land, that he is utterly ill-prepared to survive in. That nudge is the only thing that saves him from freezing to death…that and being saved by the locals. The locals of the community of Bear Claw. Bear Claw is a hidden community of skinwalkers who are hiding from the very likes of what Ron is running from. Lily takes Ron McBride on the run from a secret organization that is using experimental procedures to create the ultimate human. Finds himself nudged by a huge bear, while stranded in a frozen land, that he is utterly ill-prepared to survive in. That nudge is the only thing that saves him from freezing to death…that and being saved by the locals. The locals of the community of Bear Claw. Bear Claw is a hidden community of skinwalkers who are hiding from the very likes of what Ron is running from. Lily takes an instant liking to Ron but her family sees him as a threat and wants him dead. 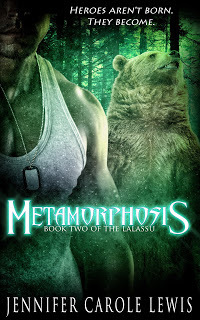 Metamorphosis is a slow building shifter/skinwalker story that had plenty of action, suspense (romantic and plot wise) and growling cuddly bears to make for a highly entertaining read. To me, the unique twist that really pulled me in was, the not so often wrote about, skinwalker aspect. I received this ARC copy of Matamorphosis from Jennifer Carole Lewis in exchange for a honest review. The mystery surrounding Ron was so intrigu PHENOMENAL!!! Metamorphosis by Jennifer Carole Lewis is the second instalment in the Lalassu series. While the beginning doesn't seem to start where the other left off, it is a fair continuation of the events of the novel. While I feel that most of the book can be read as a standalone, I think reading the first part – Revelations - will make the reader guess the identity of certain characters, some events, connections (some of which will be right, others not) and connect the dots better than someone starting with this book. The book is divided into five parts named after stages of healing a wound. 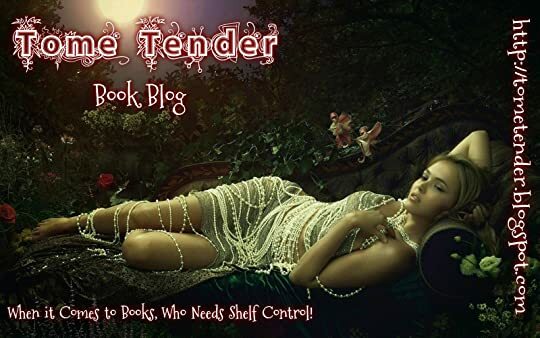 I liked that, especially when moving forward with the book, the reader realises that there is a lot of progress and healing required by many of the characters. "Living in the past doesn't change it. It only destroys the present." Metamorphosis opens with former army corporal Ron McBride escaping from his captors and freezing in the Canadian wilderness. He carries the ashes of Nada, whom he was unable to save in the last book and hopes to give them to her family in a place called "Ekurru". Almost frozen in the cold, Ron wakes up in Doc's cabin, where he meets his rescuers. Ron worries that his former captors would catch up with him or worse harm those who have come to slightly welcome him in this place, which he later discovers is home to highly intelligent massive-sized bears. "The warmth hit him like truck, sparking an irrational temptation to crawl directly into the tiny fire to thaw his frozen body." The book focuses on both Ron and Lily, whom Ron immediately falls in love with, and the metamorphosis of each of them; a psychological and emotional transformation for one and literal and physical for the other. The theme of the hero remerges in Metamorphosis, where the former corporal has always wanted to be a hero; however, in one of his tours, he believes he failed his friends, who died, while he lived. The novel portrays Ron's constant struggle to be a better – advanced - human being as well as his attempts to be worthy of Lily. While I understand the need to stress on Ron's problems and inward struggle, I still felt that it was too much at times, or becoming a bit repetitive. The Lalassu are people born with supernatural powers. In Metamorphosis, we are given additional information and background on them. Lily and her family are Lalassu but also called skinwalkers, since they have the ability to transform into bears. I enjoyed the use of psychology with the characters of Ron and Vincent, especially since the two characters are similar in several aspects, particularly being controlled by A.D., whose touch renders his victims his slaves. We also see how Lily's brother and grandfather try to break A.D.'s hold on both Ron and Vincent, a hold that makes it impossible for them to speak or even hear their captor's name. "Most people were too lazy to look past what they wanted to see and Karan had no problem with taking advantage of that." "Karan never lost, no matter how long it took to achieve his victory." I felt the chapters were too long, and thought they'd be quicker if they were shorter, since each chapter already covers several places or sides in the novel. '"Good bear. Nice bear," he croacked. Artful humour is prevalent in the novel to break the tension. An important aspect often forgotten or overlooked by writers. "Your head is spinning fast enough to qualify for Exorcist Frequent Flier miles." Metamorphosis is a novel of romance and journey of maturity and self-discovery, and it's full of beautiful quotes and imagery. I look forward to reading more in the series. "It's easier to believe you are broken than to try and heal yourself." Note: I got an advanced readers' copy (ARC) of Metamorphosis from author Jennifer Carole Lewis in exchange for an honest review. Sure I was apprehensive of reading the first book revelations in the series by Ms. Jennifer Carole Lewis but I ended up liking the book anyway. Plus after reading and discovering this new to me author I was knew she wasn’t going to disappoint me in the superhero, fantasy romance department. The book was pretty action packed moving quickly and the characters superhero aside were at least easier for me to understand but then again I did think the superhero qualities were much better explained in t Sure I was apprehensive of reading the first book revelations in the series by Ms. Jennifer Carole Lewis but I ended up liking the book anyway. Plus after reading and discovering this new to me author I was knew she wasn’t going to disappoint me in the superhero, fantasy romance department. The book was pretty action packed moving quickly and the characters superhero aside were at least easier for me to understand but then again I did think the superhero qualities were much better explained in this book than the first book. So I wouldn’t really read this as a standalone just to understand all the situations and more about the lalassu. Ron McBride has been guilt ridden running away from things he caused the numerous deaths that seem to follow him and his life. Ron ends up running into danger himself by almost getting attacked by a grizzly bear while in the Canadian wilderness. Ron is knocked unconscious while trying to escape the bear and saved by Lily Charging Bull, a beautiful woman surrounded by mystery and secrets being a skinwalker. Unfortunately the evil and villain that want Ron for his superpower wants him back and will do anything to get him back. Will Lily save Ron from the evil and what will Ron do when he discovers Lily’s secret. This book I really refrained from reading due to the main male protagonist Ron. I really had issues with him in the first book because I was a little upset with his betrayal in the first book thinking there would be really no remorse or redeeming quality in him. I mean eventually I grew to like him but I did get tired of his constant pity me act that it became a little tedious to read. At times I just wanted to shout at Ron okay you feel responsible for all this but please get on with it. I did eventually tolerate him and did like him about 78% into the book. Lily I just liked her from the beginning. She was very spunky but had a sort of charisma and charm that made her easy to like. I did think she was a little too trusting of people but then again I felt the same with some of the characters. In a roundabout way even though I didn’t like Ron I did like Vincent and felt so bad for him. He wasn’t really a bad guy and I do hope he finds a happy ending. I also can’t wait to read the rest of the stories of Evonne, Joe, Vapor, Andrew, Mark and even Lou despite his cold callous attitude. That’s why I rated the book four stars, can recommend it and will get more books from Ms. Lewis! When the normal and abnormal combine. Ron McBride thought his life couldn't possibly get any worse. He's been physically and mentally transformed, hunted across most of North America and is haunted by the failures of his past. Now it looks like he's about to die in the Canadian wilderness up near the Arctic Circle. He almost freezes to death when he collapses, while running to escape capture, but is found by members of the tiny Indian community of Bear Claw. There he meets the daughter of the hea When the normal and abnormal combine. Ron McBride thought his life couldn't possibly get any worse. He's been physically and mentally transformed, hunted across most of North America and is haunted by the failures of his past. Now it looks like he's about to die in the Canadian wilderness up near the Arctic Circle. He almost freezes to death when he collapses, while running to escape capture, but is found by members of the tiny Indian community of Bear Claw. There he meets the daughter of the head family, Lily Charging Bull. Lily and her family deliberately remain as hidden and obscure as they can for they are skinwalkers, able to shift between human and huge grizzly bear forms. For generations, they've protected the lalassu, (which means hidden or ghost) and they can’t blend easily with human society. When they find Ron, most of Lily’s brothers and grandfather believe he will be a danger to their tribe and Lily has become enamored with him (for the first time being attracted to any male) and she fights to keep her brothers from killing him or driving him off because they don’t trust him. A deep romance develops between Ron and Lily, but Ron is damaged goods. Mentally he had been overcome and slave to the wishes of a scientist and Lily’s brother, Andrew, is a shaman and can see this. He takes Ron to his tent where he uses hot rocks and water to produce steam, and drums away as he instructs Ron to seek within his mind the shackles that imprison him. Lily worries about how Ron will take it when she admits she is half grizzly bear and half human. This story is different than any I have read before and is a second book in a series. I was fascinated by the story. It is well written and thought out. I was given a complimentary copy for an honest review. Ron McBride is trying to honor a request even though he believes that he's a big failure. Ron only knows to go north and west to find his destination. Ron really isn't dressed for the cold weather but he isn't stopping him from completing his task. Lily Charging Bull has always been charged with the protection of The Colony. Yet when Lily encounters Blue Eyes everything shifts in her in ways she thought just legends. Ron knows it's only a matter of time before he's found. Can Lily reconcile her Ron McBride is trying to honor a request even though he believes that he's a big failure. Ron only knows to go north and west to find his destination. Ron really isn't dressed for the cold weather but he isn't stopping him from completing his task. Lily Charging Bull has always been charged with the protection of The Colony. Yet when Lily encounters Blue Eyes everything shifts in her in ways she thought just legends. Ron knows it's only a matter of time before he's found. Can Lily reconcile her duty and her heart? What is Ron running from? Your answers await you in Metamorphosis. I am a full time writer, full time admin person and a full time mother (which is at least two more times than I actually have but somehow I'm making it work while still finding time to watch TV and read). I've always loved stories: watching them, reading them, or telling them. I've recently self-published my first novel and I'm very excited to see about making my dreams come true. I like alternate I am a full time writer, full time admin person and a full time mother (which is at least two more times than I actually have but somehow I'm making it work while still finding time to watch TV and read).